Temperature matters. If the fire is hot enough, many of the toxic molecules will break down into simpler, less toxic ones. But open fires rarely reach those temperatures, meaning toxic molecules are released as a gas that can easily find its way into lungs and the environment. As opposed to high-temperature incinerators, bonfires also tend to produce more carbon monoxide, which is harmful when breathed in and can form toxic ozone. 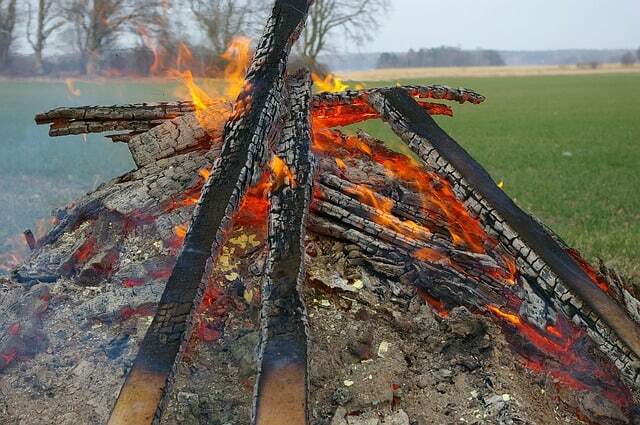 Ash from bonfires can also easily run off into rivers and lakes, introducing chemicals and possibly altering the pH of the watershed. This could cause the widespread of fish and other animals living in or near the watershed. Burning most kinds of plastics or metals is a quick path to creating adverse health effects because of their inherently toxic molecules. Some of the worst items to burn in terms of toxic emissions include manmade chemicals like Teflon or many plastics, used motor oil and rubber such as that found in tires. On the more natural side of things, burning poison ivy can be very harmful to people allergic to it. The smoke fumes from burning wood can linger in the air creating localised pollution, which could cause asthma attacks for the 5.4million people in the UK with the condition, says Asthma UK. Two thirds of people with asthma say poor air quality makes their symptoms worse. The charity advises that the smoke from bonfires could be ‘deadly’. Are you concerned about your personal lung cancer risk? The EarlyCDT®-Lung Test can help to assess your personal risk.